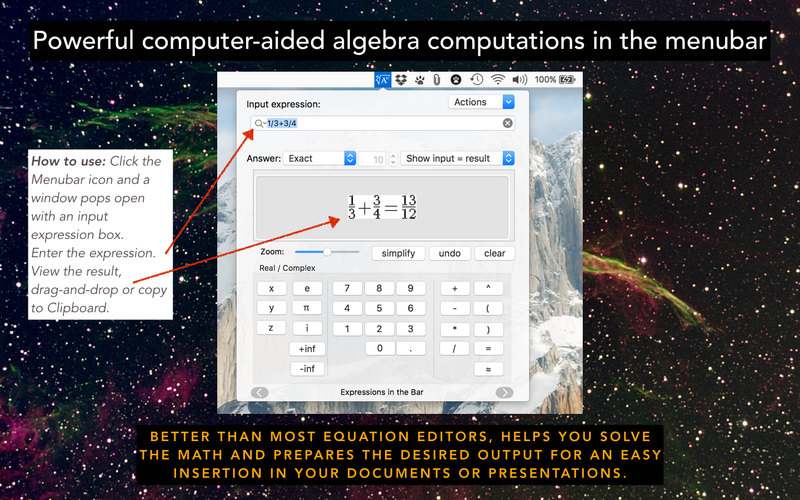 Powerful menubar application tool for handling mathematical expressions with computer-aided algebra computations. Numerical calculations and symbolic math ! Easily export results into your Documents and Presentations ! 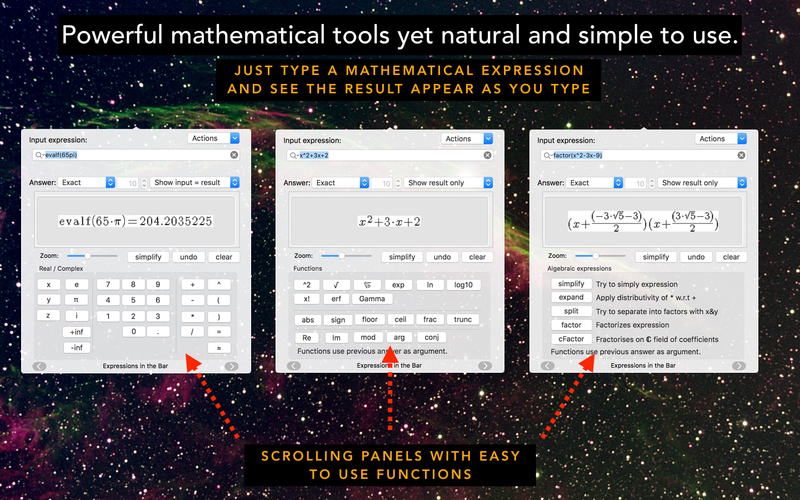 ExpressionsinBar is a simple menubar application which provides powerful computer-aided algebra computations. 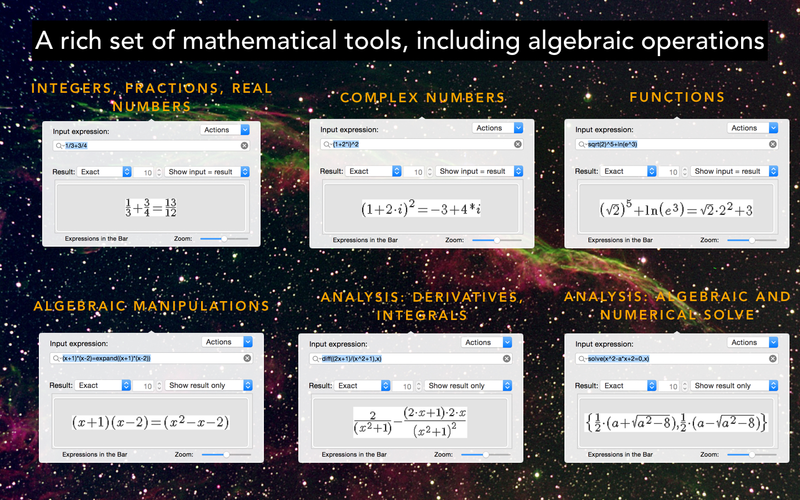 It can do numerical calculations - It can also do symbolic math ! 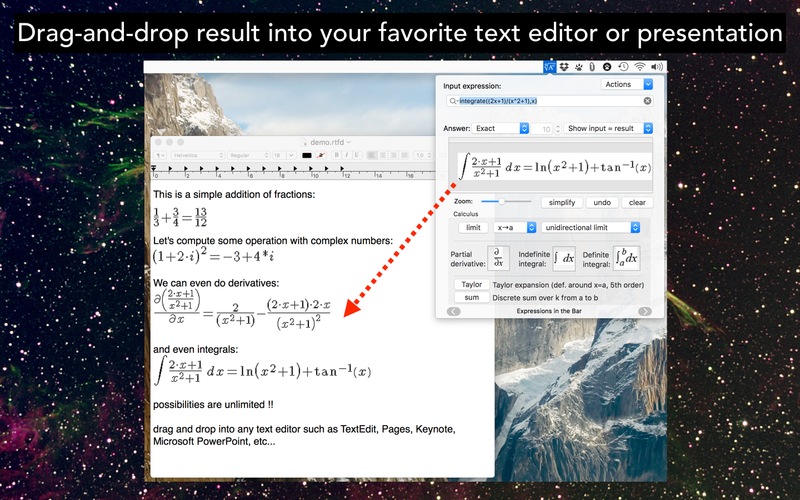 With drag-and-drop expressions can be directly pasted into your Documents or Presentations. An expression is a finite mathematical combination of symbols that is well-formed according to rules that depend on the context. Expressionsinbar is a full-featured application that handles all kinds of expressions. © Copyright 2013-2016 Alelvi software, All rights reserved. The Apple logo, iMac, Mac, MacBook, and MacBook Air are trademarks of Apple Inc., registered in the U.S. and other countries. App Store is a service mark of Apple Inc.